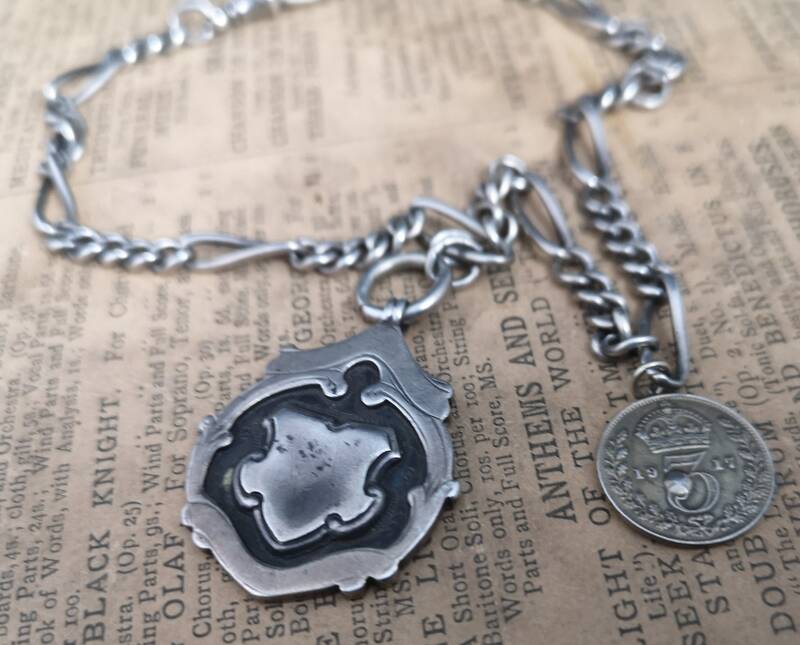 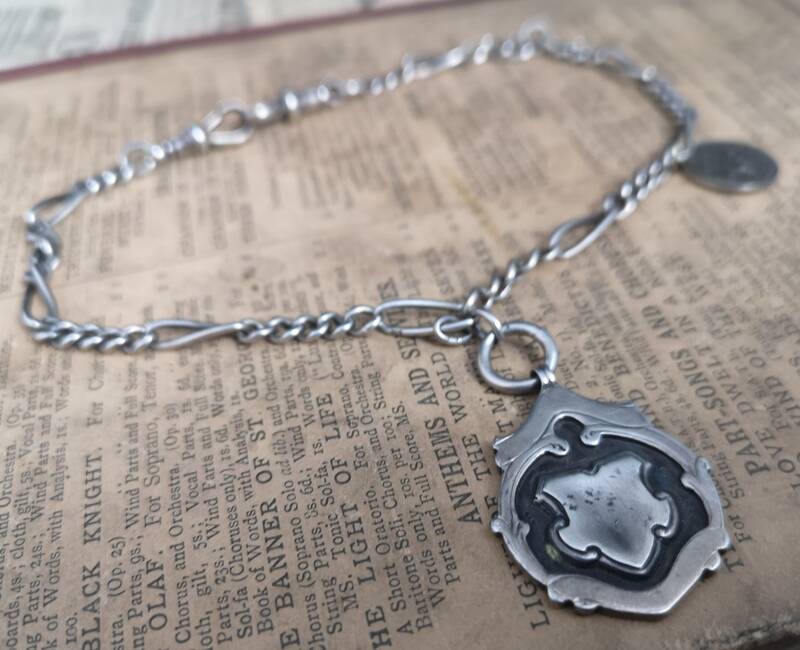 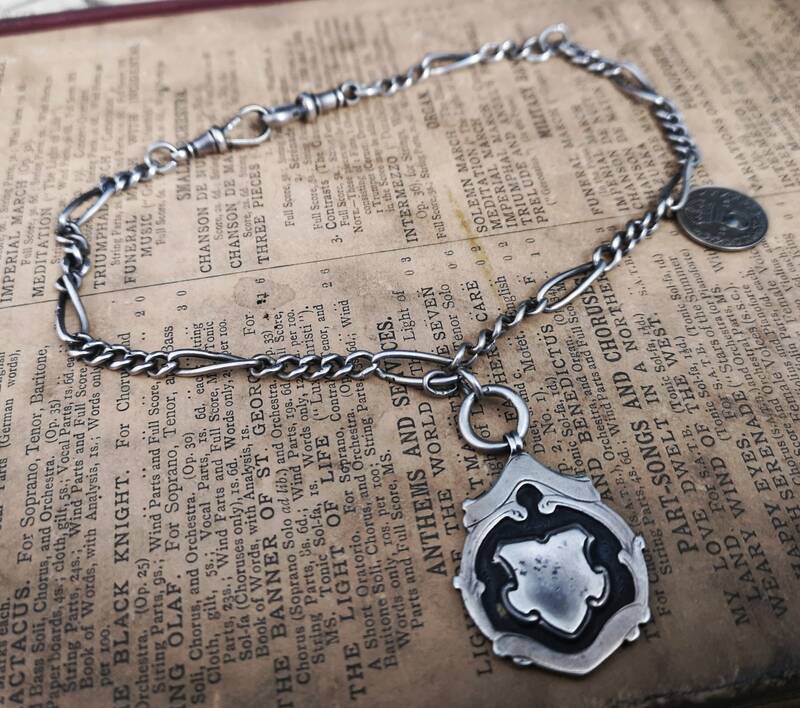 An interesting antique sterling silver double Albert chain with shield fob and antique coin charm. 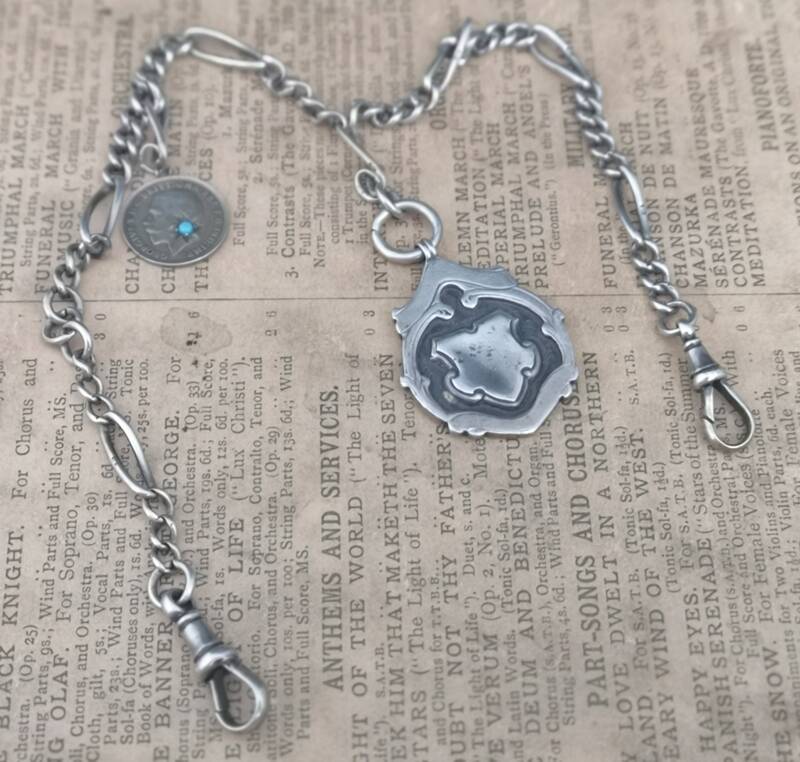 Fancy figaro style links with two dog clips either end, a heavy sterling silver fob both fully hallmarked and each link of the Albert chain us stamped with the lion passant. 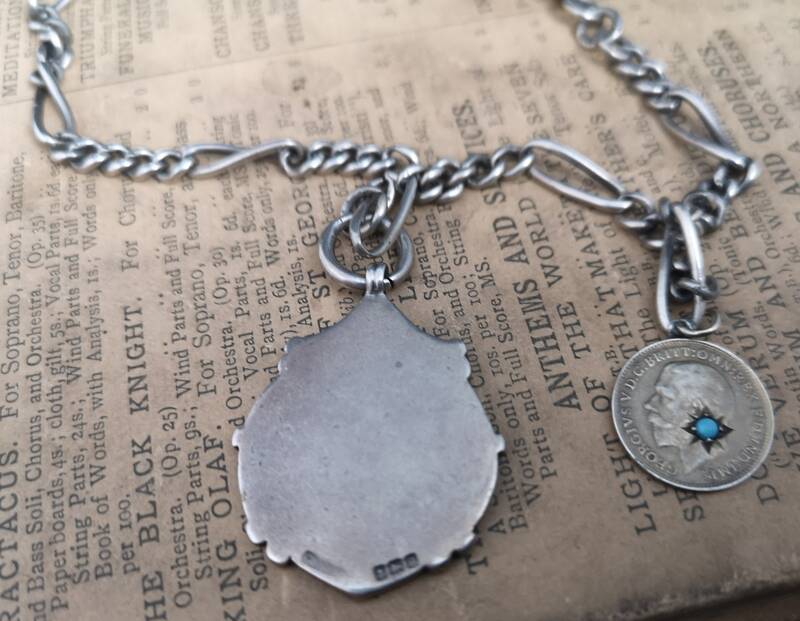 It has a further small antique coin which is a silver 1917 3 pence coin which has a small turquoise cabochon inset into a star shaped punch in the coin. 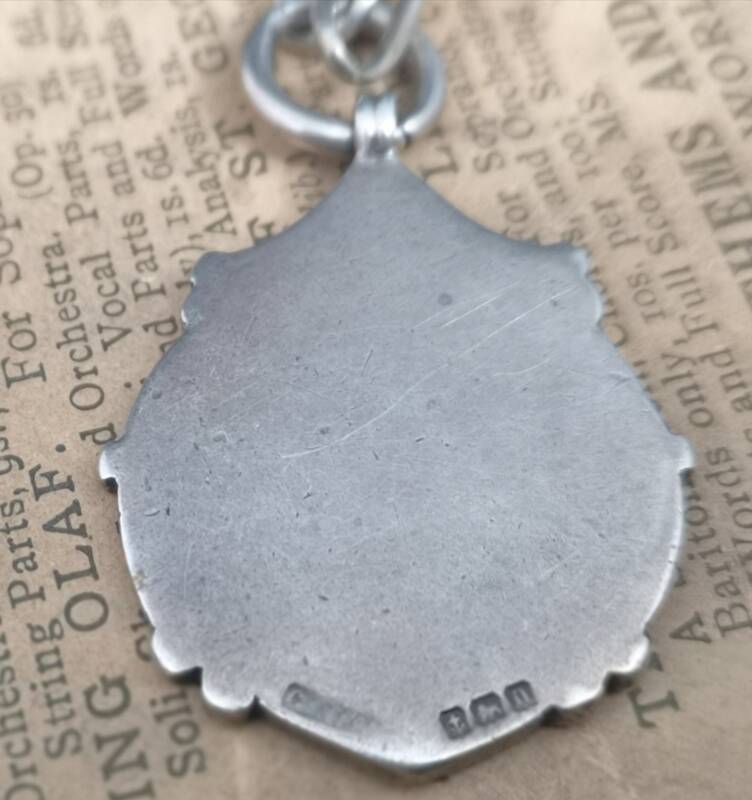 The fob is hallmarked for sterling, Birmingham 1912, maker is Constantine and Floyd. 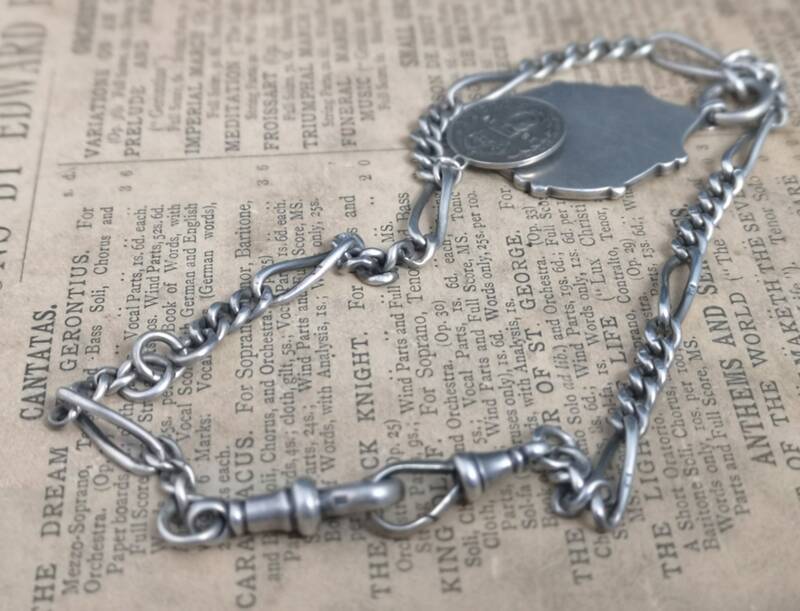 The Albert chain us slightly older and is hallmarked for sterling, Birmingham, Samuel Smith 1886. 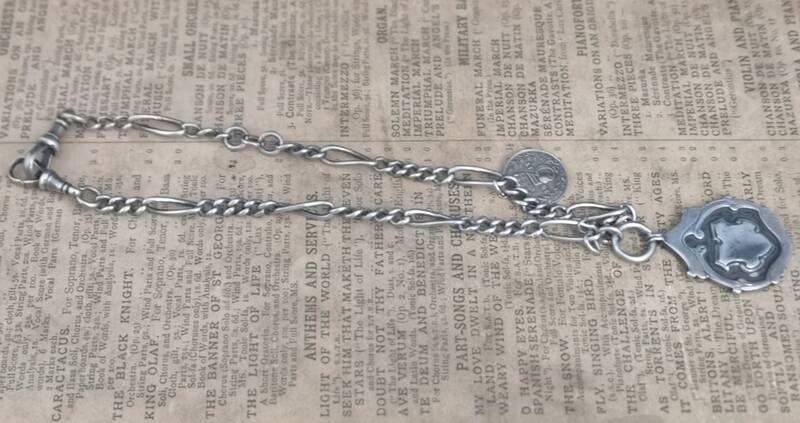 A very fine albert chain in good condition. 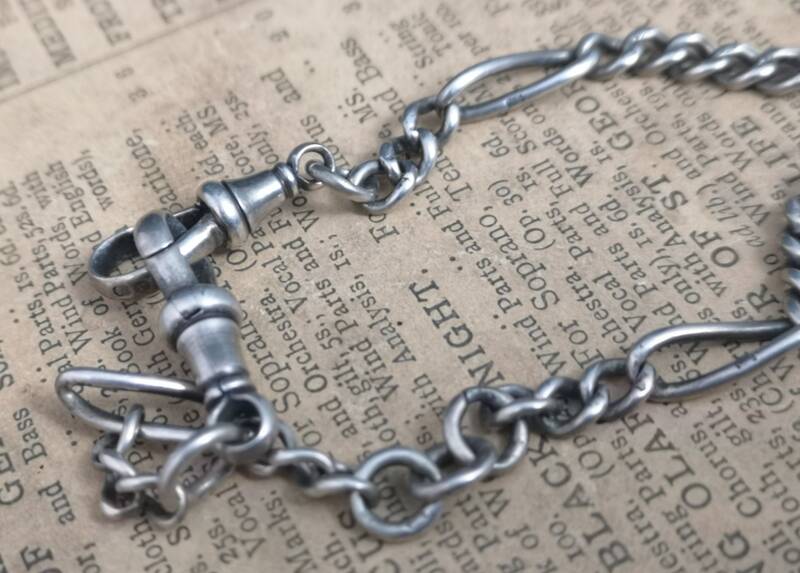 We have not cleaned / polished this piece so it retains its natural aged patina, if you would like it cleaning before dispatch please let us know and we can arrange it for you.